At How to Train your Dragon Zone! Over 7 restaurants to dine at, and more than 30 delicious meals to choose from, all year round. Enjoy up to 10% on standard tickets when you book online 1 day in advance. Tickets starting at AED 220. Forge memories and create stories that will be told for a lifetime. 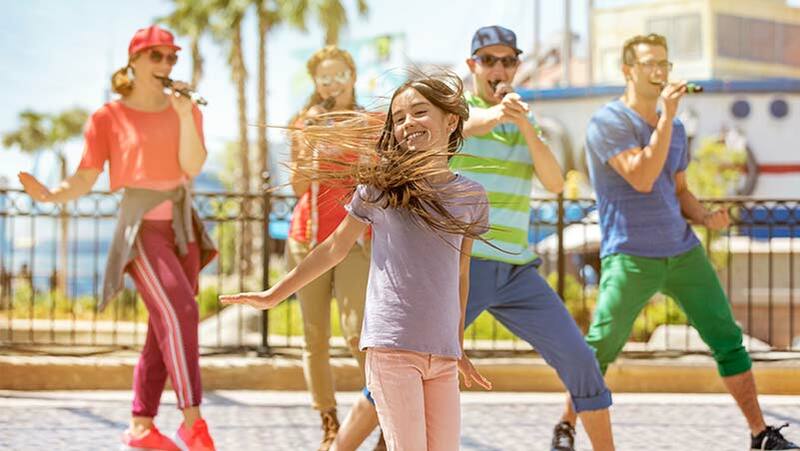 Experience the region's largest Hollywood inspired theme park. Buy your tickets from only AED 245 today for an experience like no other. Discover the magic of Hollywood like never before and let us introduce you to three world-famous motion picture studios: Dreamworks Animation, Columbia Pictures, and Lionsgate. Create memories as you experience MOTIONGATE™ Theme Park. Catch up with all the awesomeness that awaits across our 5 studio zones which include 40 World-Class rides. Discover MOTIONGATE™ DUBAI like no other! With air-conditioned attractions and play areas, we’re pulling out all the stops! Pay us a visit today at MOTIONGATE™ Dubai and experience Hollywood amazing! Dont miss out !